Buy AOR Healthy Aging Collection Online | AOR Inc.
Resveratrol is a nutrient found in many plants such as berries, grapes, peanuts and herbs that has gained a lot of attention for its potent antioxidant powers and supporting healthy aging by helping maintain normal cell development, protecting brain function and heart health. In 2010, the American Journal of Clinical Nutrition published a study that assessed the effects of oral resveratrol on cognitive performance and concluded that “single doses of orally administered resveratrol can modulate cerebral blood flow variables.” Because healthy blood flow brings nutrients, glucose and oxygen to the brain, resveratrol is essential for optimal cerebral function and maintaining mental health. Resveratrol also helps maintain normal levels of nutrient absorption for those on a calorie-restricted diet. Caloric restriction, also known as CR, is when a person limits their dietary energy intake, while still getting a sufficient amount of vitamins, minerals and other important nutrients, in order to improve health and promote healthy aging. Resveratrol supports nutrient absorption for those who reduce their calorie intake up to approximately 40%–making it a key supplement for those who are looking to stay healthy as they age. Because resveratrol is an unstable molecule, it’s important to choose a product that has been formulated correctly. 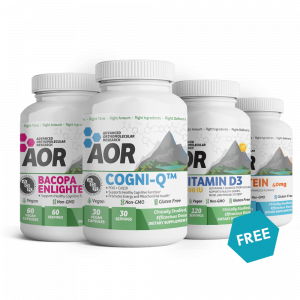 At AOR, we understand that each aspect of leading a healthy life is important, and we produce Acta-Resveratrol under conditions of controlled humidity and low light, allowing for optimal stability and potency. 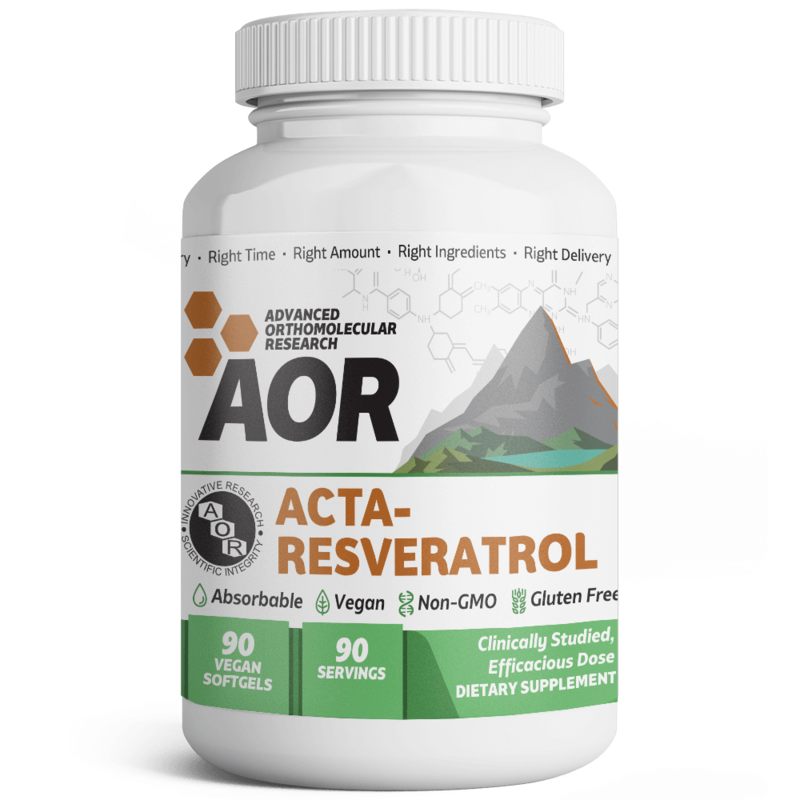 Acta-Resveratrol is a gluten-free, non-GMO, vegetarian and easily absorbable supplement. For many adults, a low-calorie diet is the chosen method for weight management, staying fit, and maintaining health. By definition, a low-calorie diet (also known as ‘caloric restriction’) is when a person limits their daily calorie intake while still getting a sufficient amount of vitamins, minerals, and other important nutrients. benaGene™ is a supplement that contains oxaloacetate, a substance that helps generate energy without substantially increasing the daily calorie intake. This formula promotes the genes that favor youthful, healthy cells, and is believed to help balance blood sugar. It contains a stabilized form of oxaloacetic acid, which is the world’s first compound to maximize the Krebs’ cycle, the process by which the body uses stored energy. benaGeneTM is a perfect partner for resveratrol supplementation. benaGene™ increases conversion of the cellular factor of NADH to its oxidized form, NAD. NAD is a niacin-derived coenzyme that is present in all living cells and is critical to the production of ATP, the body’s source of immediate energy. In short, NAD helps increase cellular energy and stimulates beneficial genes; NADH inhibits them. Through a process that is similar to intermittent fasting, benaGene™ mimics a low-calorie diet, resulting in up to 98% of the changes in the genetic expression of over 350 genes. By doing so, AOR’s benaGene™ helps to slow down the creation and storage of fat, which in turn promotes vitality and healthy aging. According to data from the U.S. Census Bureau, 80.7 percent of the U.S. population lived in urban areas as of 2010. With a majority of people living in urban areas, there is increased exposure to high pollution and a greater risk of vitamin D deficiency. That’s why it’s important to get some vitamin D from sources besides sunlight. 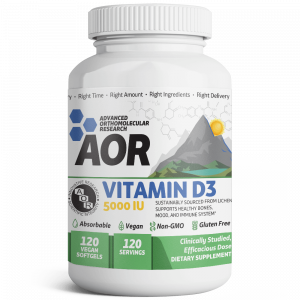 Vitamin D3 benefits the body by providing support to the immune system, ensuring proper calcium absorption that promotes healthy bones, while also helping balance mood. Vitamin D is mainly known as a mood booster, especially during winter months when the skin gets little exposure to the sun. As more knowledge about the benefits of this vitamin are discovered, it is becoming more popular to supplement. AOR’s VSoftgel™ Vitamin D3 5000IU is one of the first of its kind, providing truly vegan vitamin D3 sustainably sourced from non-GMO lichen. Lichen is a plant-like substance made up of symbiotic algae and fungi. Up until recently, the only vegan form of vitamin D available was vitamin D2 (ergocalciferol) which is usually sourced from soy and is not as absorbable as vitamin D3. However, most D3 products are usually sourced from sheep wool oil and are therefore not compatible with a vegan diet. Manufactured with our patent-pending technology, VSoftgel™ offers superior absorption that is safe for vegans and vegetarians. The biggest advantage of offering fat-soluble vitamins such as vitamin D3 in a soft gel is that it allows for better bioavailability. In a world in which most of us are exposed daily to phones, tablets, and computer screens, protecting our eye health is more important than ever. Although there is no evidence that screen time causes eye damage, symptoms such as eye strain, dry eye, headache, fatigue, difficulty focusing, and blurred vision may be a result of our daily use of electronics. Although these symptoms typically go away once we’re away from the screens, they are a reminder of how crucial it is to care for our eyes and support our eye health. Taking good care of our eyes reduces the odds of damage. With that in mind, supplementing our food intake with the right antioxidant can provide the needed eye protection. Astaxanthin’s unique antioxidant structure helps maintain optimal eye health by helping to destroy damaging free radicals and preventing the degradation of lipids. 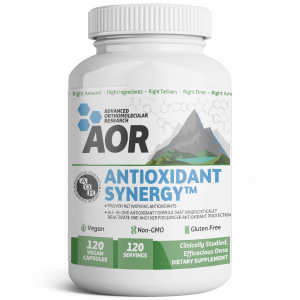 Unlike other antioxidants, astaxanthin remains intact after quenching free radicals, allowing it to work longer to neutralize oxidants and regenerate other antioxidants. This makes its antioxidant and biological activity greater than those of other potent antioxidants. Astaxanthin lends improved health to the eyes, skin, and cardiovascular and gastrointestinal systems. Because astaxanthin is able to cross the blood-brain barrier, it lessens oxidative stress in the eyes, brain, and central nervous system. Our formula has also been shown to support healthy blood sugar and blood pressure. In the GI tract, digestion may be improved with the use of astaxanthin; athletes may benefit from astaxanthin’s effects on mitochondrial function, which supports the body’s cellular energy cycle. Astaxanthin 20mg is a non-GMO, gluten-free supplement encapsulated in AOR’s vegan softgel, making it an easily absorbable, high-dose formula without the use of animal ingredients. AOR’s Astaxanthin 20mg helps protect eye health with our highly effective, sustainably sourced formula.